More importantly, engagement is the only thing segment that is easily judged and gauged for the effectiveness of the current social media marketing planning. So, how do you actually increase engagement on social media such as Twitter? 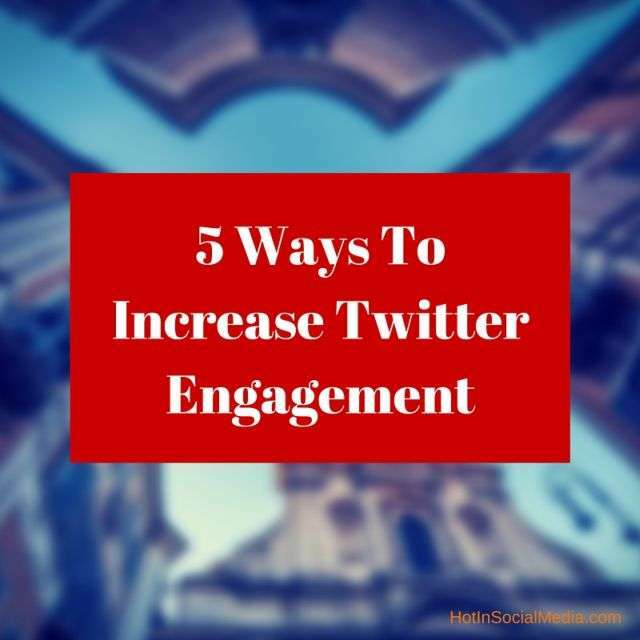 Well, here are the top 5 ways to increase Twitter engagement. This is pretty clear and obvious for many. Tweeting at the right time will ensure that you will reach your potential audience (or followers in this case). According to surveys and statistics, you are potentially able to reach as much as 30% more audience when you are tweeting at the right time compared to others who doesn’t. This makes sense since the majority of the tweets last only a mere 8 seconds (or less) on your Twitter timeline. So, what happens when you have an audience from various countries around the world? You can either use Twitter management tools to reach out to them at the most optimal time or simply retweeting similar content within the right time zones. With today’s technology, scheduling tweets to be published and posted during selected time is very much easier compared to years before. Keeping in mind especially for the time zone is important to ensure that you are reaching out to the biggest and majority audience within your followers group. Are you solely tweeting random status? For starters, you need to start using different types of tweets to gain attraction from your followers. Such attractions will grow your Twitter engagement and even bring many more advantages down the road. A simple tweet that consist of several words, a link and an image resulted in 22 reshares and 17 likes. If you are wondering, this makes sense completely. Your Twitter feed is probably filled with several hundred words. In most cases, it felt like a wall of text and the only way to finish reading everything is by skim through post after post. But what happens when you see a post with an image? You are more likely to stop and read the post. If the post is good, you probably even will reshare it with your audience. So, this is the exact pathway and actions that most of us will take when we see an image on Twitter. Does this make all the sense when it comes to increasing Twitter engagement? Do you know that hashtags can bring you a lot of advantages in Twitter marketing? According to Quick Sprout, hashtags can double your engagement rate and this means that you can increase your visibility on Twitter by miles ahead of your competitors. So, the next time you are planning to publish a tweet, always incorporate some hashtags so that you can leverage the true power of it. Of course, try not to incorporate too many hashtags as studies had shown that posts with over 2 hashtags face a huge 17% drop in engagement. How to find ‘profitable’ hashtags to double your Twitter engagement level? 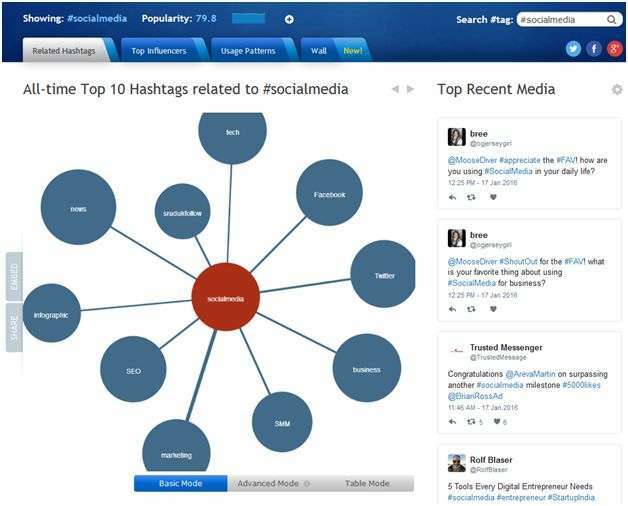 Hashtagify allows you to discover popular and trending hashtags which will indirectly affect your engagement level. Apart from that, there are several options such as Basic Mode, Advance Mode and Table Mode to further assist you when it comes to siphoning the data. When it comes to hashtag marketing and planning, it is important NOT to choose hashtags which are overly populated or trending. This is because your post may easily be buried by the thousands of other posts that are using the same hashtag. We do this most of the time. Well, who doesn’t right? Believe it or not, there are still others who do not use links in their tweets. And make no mistake from this. Links can easily drive engagement (and much wanted traffic) back to your website. According to Salesforce, 92% of all Twitter interaction happens when the readers click the links. The research even proved that tweets that come with links get more retweets than those that doesn’t have links. 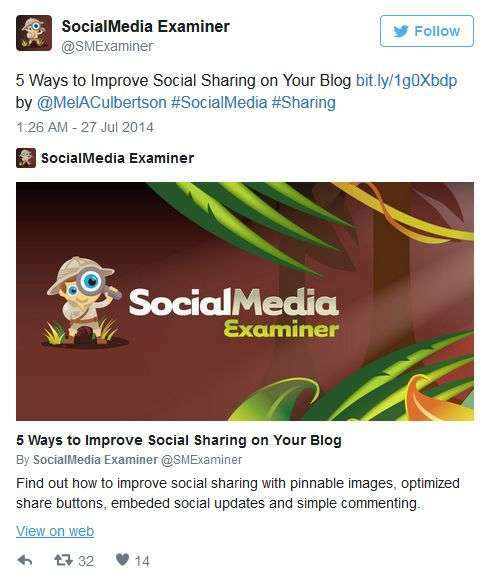 When it comes to having links in the tweets, you do not need to have a link in EVERY post you publish. Instead, you may want to include a healthy amount in your overall strategy. Always remember that balance is the key to success. If you are wondering, I usually recommend anywhere between 60 to 80% of tweets to have one link in them. Using the right call to action is more than just important. When you publish a tweet, your mail goal is to have your audience to engage with you. For starters, your followers aren’t going to react to your tweets if they are not informed to do so. Of course, feel free to change or use phrases which you are most comfortable with. You may debate that the above are not entirely call to actions, but make no mistakes as when these words are used in tweets, they resonate almost instantly with your followers. In a nutshell, getting your followers engaged with you on Twitter is extremely important for your marketing success. In order to achieve proper Twitter engagement level, try the above 5 steps and tell me what you think.